Inkle is a fun digital storytelling tool for kids. Students can collaborate and create a Choose Your Own Adventure story! 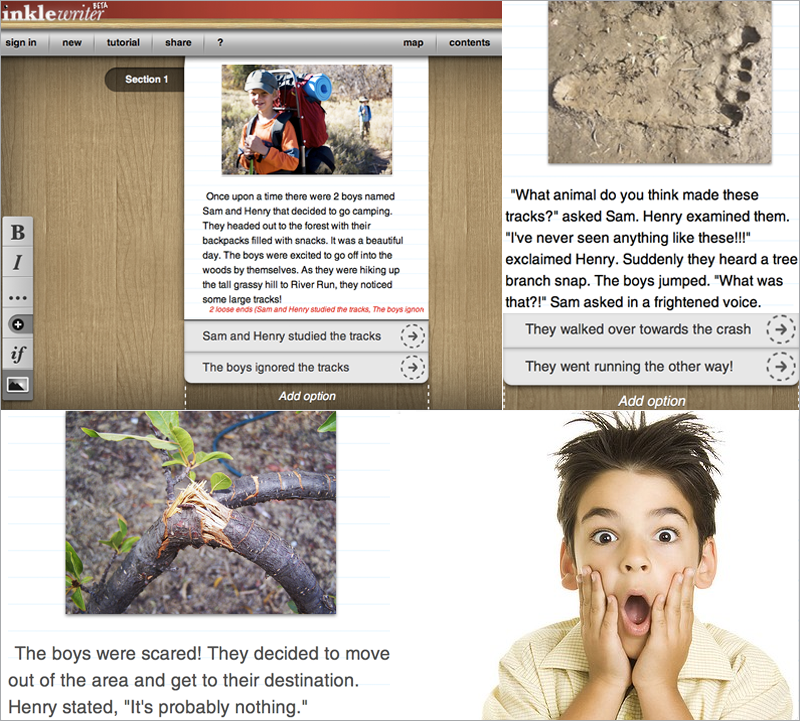 Each child adds a paragraph to the story and at least two options for readers to choose from. They insert images by adding the link to an image they like online. This web 2.0 tool is free and the children's work can be saved and shared.